If you are a fan of consuming media, Roku devices are some of the best values out there. Not only do these affordable little boxes have access to many paid music and video services, but many free ones as well. In other words, even if you don't have any paid subscriptions, there are many free "channels" that offer quality entertainment -- no credit card needed. Today, Roku gains yet another free option -- ET Live. For those that enjoy celebrity and showbiz news, Entertainment Tonight is a great way to get your fix. Look, there's no need to be embarrassed -- we all love some entertainment gossip every once in a while! "Big news, entertainment lovers -- ET Live is now streaming on the Roku platform! Now you can get your free, live entertainment news around the clock on Roku players and Roku TVs. 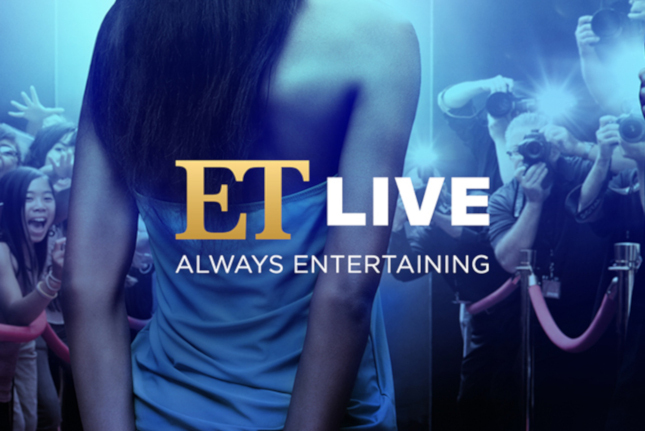 ET Live brings you behind the scenes exclusives, special event coverage, and red carpet interviews, along with celeb fashion, beauty and lifestyle trends as only the iconic Entertainment Tonight brand can," says Bill Wilson, Social Media Manager, Roku. Wilson further says, "In addition to 24/7 live coverage, get your entertainment fix with previously aired segments on demand or curated videos of trending topics in the world of celebrities." If you own a Roku device and want to get the latest news on stars such as Tekashi69, Ariana Grande, or Leonardo DiCaprio, you can get the channel here.